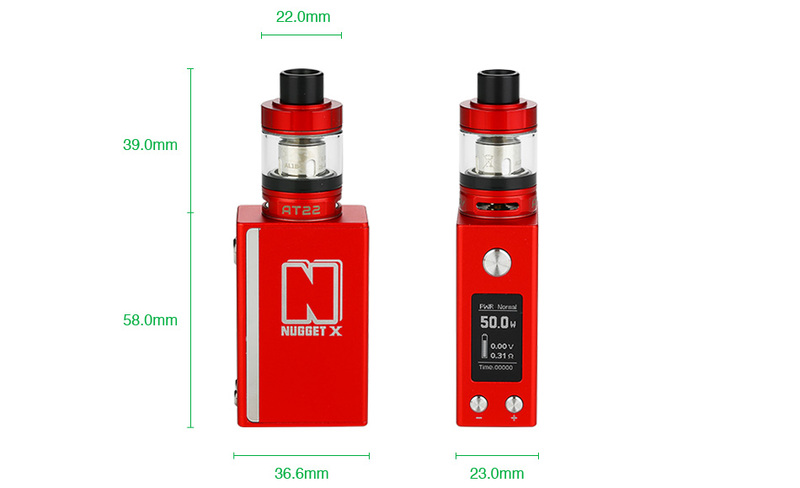 We have a brand new Mini mod edition on the streets, the Artery Nugget X Starter Kit! This is a stylish little vaping device that packs in a 50W Nugget X Box MOD and a 2ml AT22 sub-ohm tank. 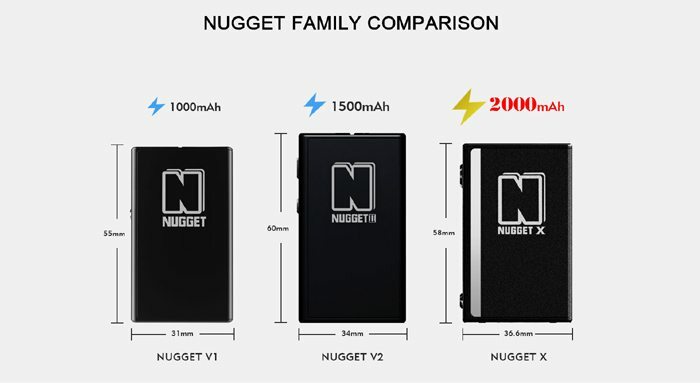 As a brand new member of the Nugget family, the Nugget X has a super compact body with a massive 2000mAh built-in battery amongst other cool new features. Just scroll down and take a peak for yourself. So what’s new about the Artery Nugget X? There are some great new features. Let’s start with size. This little cutie is designed to the “golden ratio” which is supposed to be the perfect proportions in design to be the most appealing. There’s always a ratio for something! On to the battery capacity. This newbie is also bigger at 2000mAh compared to the 1500mAh of the V2. This version also has a larger, clearer 0.96in LED screen. This has enabled Artery to update and streamline the menu system which looks gorgeous! 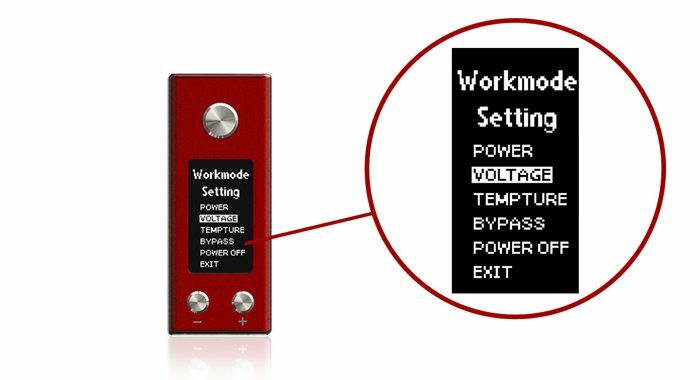 The kit also has some great modes and protections. 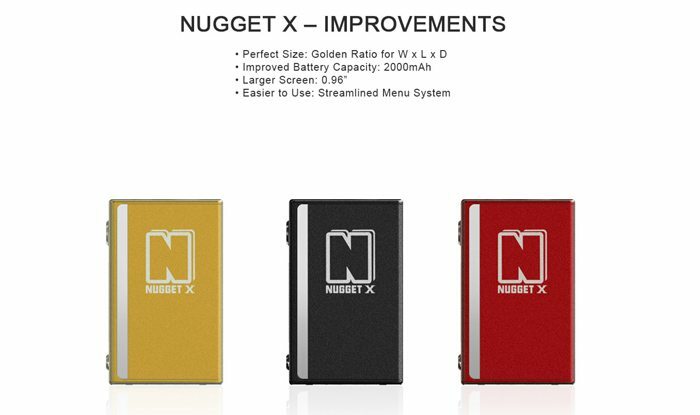 Our Nugget X mod has a maximum output of 50W. It also has variable wattage, TC mode and bypass mode. An Artery AT22 tank is included in the kit option and this is a top fill tank with bottom adjustable airflow. There are also new coils for this beaut of a tank. 0.3ohms is best at 25-45W to get those huge clouds as well as great flavour! 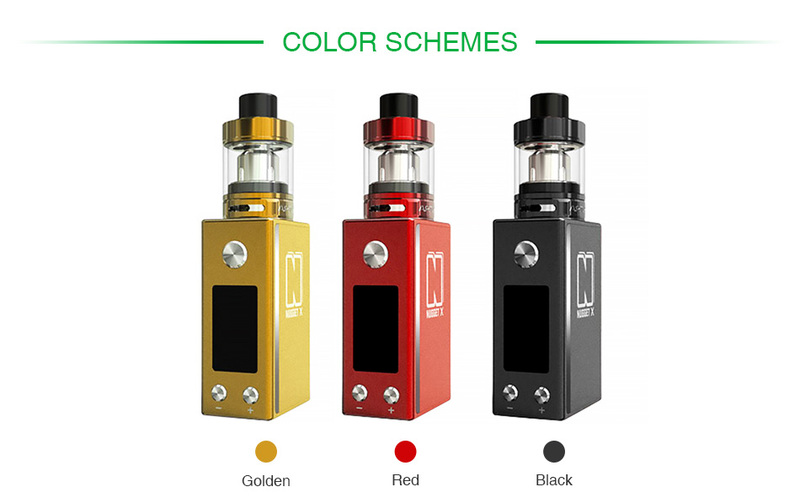 To top it off you can get the mod in 3 colours: Gold, Red or Black. Well isn’t this just the cutest little addition to the Artery Nugget range. They have always impressed in the past with their tiny size and great performance and they’re continuing to do so! For sure this could be a great starter set up or an out and out kit. 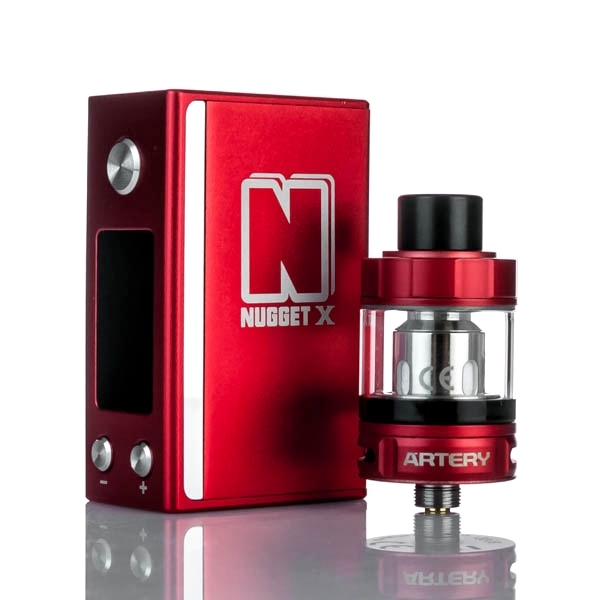 You will get delicious flavours and massive clouds with the Artery Nugget X Kit. Get 15% here with code: Rowena15. Happy Vaping!